Simple solution to extra folder/content getting deleted! 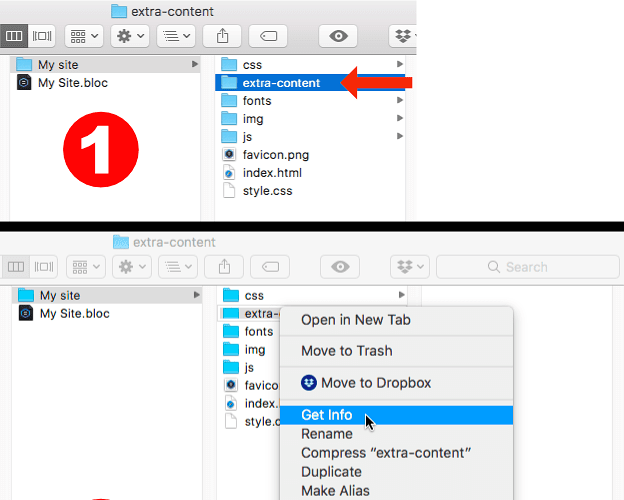 I mostly need content loaded from a HTML-bric and since images don’t get exported when used this way i usually place my extra-content in a special folder in the root of the site. The problem is that it gets deleted at each export i have to drag a copy of it back in again to have things working right. This is probably not an issue for everyone or maybe you’ve already solved this. But for me it’s been quite annoying for a long time and it wasn’t until i actually thought how to solve it that i realised that it was embarrassingly simple and i had to share it. Place your special folder the exported folder root. I’ll have a proper fix for this soon!! Perhaps I have the wrong end of the stick here, but with remote assets like images I simply upload them to the server via FTP in specific folders. I then use a sync mode in Yummy that only uploads newer content in the local folder to the root level on the server, while leaving image folders untouched. As an added safeguard I label important folders on the server in red, so the are not manually deleted by mistake. Furthermore, it is possible to exclude specific remote items from any transfers using something like Yummy FTP Pro.